2017 is already shaping up to be another stellar year as a raft of innovative products from SnapComms go live. This launched just before the end of 2016 and customers love it! 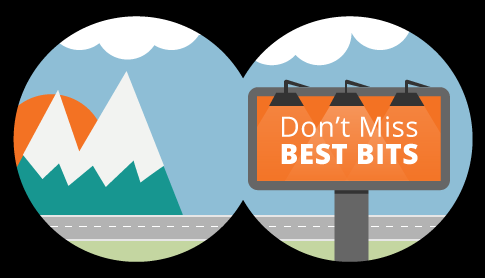 That’s hardly surprizing when you discover the free library of animated templates, the unlimited branding opportunities for internal comms messages, the greater security … the list goes on! For current SnapComms customers, you can download our new app for Windows here. Screensavers are the understated high achievers in the Internal Communicators arsenal of tools. And SnapComms’ screensavers recently underwent an overhaul to make them even easier to use, and super effective for message cut through. See for yourself in our customer training webinar which explains how to set up a screensaver and more. 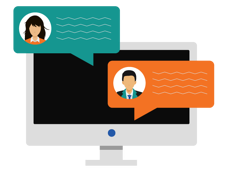 This new feature has turned many an Internal Communications Practitioner into a Superstar! Existing SnapComms’ customers can now access accurate, up-to-date reporting data on content – incredibly useful for quantifying the impact internal communications programs are having. Combine key statistics into these succinct reports, and quickly discover which content gets high engagement, and which content might require further tweaking. All the favorite features of SnapComms now in a friendlier faster interface. Cloud customers love it! Upgrade to enjoy the great new interface and the latest features like the new Screensaver interface and Success Reports. See the preview here. Introduction of Help tools and the inline Tutor in the new look Content Manager. The Tutor provides contextual instructions for every page of the SnapComms Content Manager. 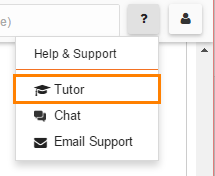 For existing customers, click on the Tutor icon in the Help section to open it for any page.